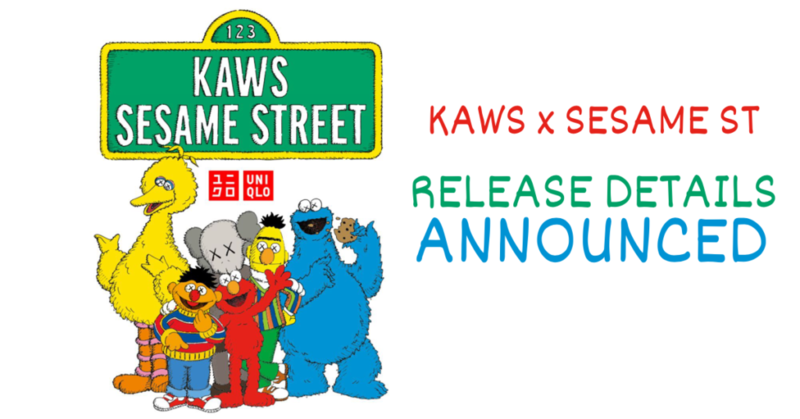 Release Details: KAWS x Sesame Street x Uniqlo Announced! The date has been set for all you beasters to grab the latest hype from KAWS. Collaborating with Sesame Street & Uniqlo, KAWS will release five new plush takes on Big Bird, Elmo, Cookie Monster and Bert & Ernie! Massive debates have broken out in the Designer Toy community regarding this release, and no doubt it’ll rage on for time to come. What is your take on these? Available from 19th November in the US from Uniqlo.com and in US stores. Japan will see their release on 22nd November and the final release will be global on 23rd November! Individual plush of Big Bird, Elmo, Cookie Monster, Bert & Ernie will retail at $39.90 each with a limit of 1 of each (we think). There is also a box set of ALL five plush figures priced at $199.90. The box set will only be available online and at the following US stores: NY 5th Ave, Soho, 34th Street, IL Michigan Ave, CA Union Square, and Beverly Center stores.